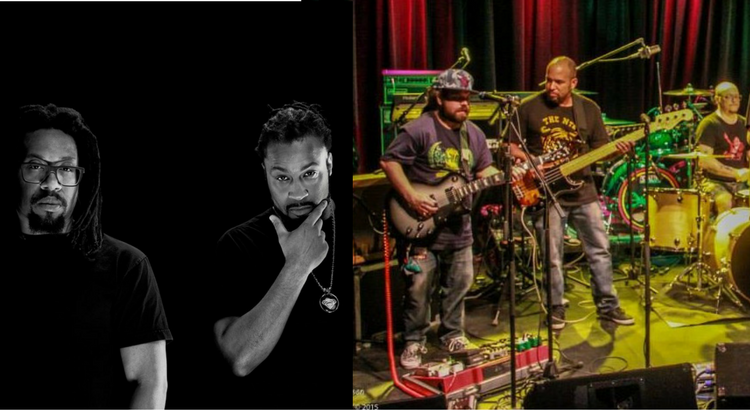 On April 26, Boston MCs Mr. Lif and Akrobatik, also known as The Perceptionists, will perform at Lizard Lounge in Cambridge. At this show, they’ll be backed by members of Boston reggae band Dub Apocalypse and Boston DJ Mister Rourke. You might know Dub Apocalypse from their residency at Bull McCabe’s in Union Square. Mr. Lif and Akrobatik have been steadily releasing records for years. Their latest effort “Resolution” came out last year and was one of my favorite releases from 2017. I live for team-ups like this! We all know that Boston is home to a wide variety of incredible musical talent and I love to see cross-genre efforts like this one. If there are more, similar shows like this happening, you gotta let me know about them! Speaking of cross-genre efforts, I also highly recommend Mr. Lif’s late 2017 release with Brass Menazeri which finds the MC rapping on top of and alongside a balkan-style brass band. It’s called “Resolution” and it’s such a unique, incredible listen. You can find rare show opportunities like this one on our calendar.